Marzieh Hashemi has been freed after being held in U.S. custody for 10 days without charge. I repeat; activist, and PressTV journalist, Marzieh Hashemi, has finally been freed from U.S. custody! Since January 13th, our hearts, minds, and voices have been advocating for Marzieh Hashemi, who was, for all intents and purposes, unjustly arrested. 59-year-old Hashemi, born Melanie Franklin in New Orleans, is an American citizen and her arrest occurred while she was in the U.S. filming a documentary on the Black Lives Matter movement, and visiting family. For a total of ten days, she was detained in Washington D.C., and it is imperative to take note of the fact that there were no real charges against Ms. Hashemi, making her arrest even more unnerving, and suspicious. Throughout that time, our hearts broke as we read an abundance of reports and allegations detailing the mistreatment Marzieh faced whilst in custody. Marzieh’s son, a graduate student at the University of Colorado, told the world, “she hasn’t been treated very well”, with shocking reports emerging that Marzieh was offered nothing but pork to eat. Additionally, a Facebook post by Hashemi’s daughter stated that she was given short-sleeved clothing to wear, ensuring that her dress did not comply with her religious code, and she was forced to wrap a t-shirt around her hair as a temporary head-covering. These disturbing signs of maltreatment sparked outrage, setting off a series of protests. In the days following her arrest, news reports showed men and women from all walks of life rallying in Washington D.C. in support of Marzieh. Everyone familiar with the case reported that matters and details were under lock and key, leaving those concerned for her well-being mostly in the dark, with tidbits of worrying news being released intermittently. It wasn’t until today, January 23rd, that Marzieh Hashemi was finally released from U.S. government custody. At the time of publishing, no further details were made available, leaving all of us to wonder what happened behind closed doors that the government is so desperate to keep concealed. While Hashemi’s release brings a sigh of relief to our community, we will not forget the pain that she, her family, and the Muslim community endured. This moment in history should fuel our desire to continue calling out the harassment that Muslims face on a daily basis, just for going about their daily lives. Marzieh Hashemi’s story is not a stand-alone incident. Unfortunately, her ordeal is one that many activists, journalists, and change-makers, struggle with. Recently, the world has witnessed journalists lose their jobs, their livelihood, and even their lives, all in an effort to promote justice. According to a recently published press release, Marzieh Hashemi will be recuperating in Washington D.C. with her family. While she has not delivered a special comment, sources close to her state that Ms. Hashemi would like protests to continue. Our government must look past bigotry to see the truth. They must let journalists speak truth to power, or be held accountable for the obstruction of justice. In a world filled with hate, lies, and bigotry, how can we silence the truth that we are so desperately in need of? We aren’t under any false pretenses. We never have been. 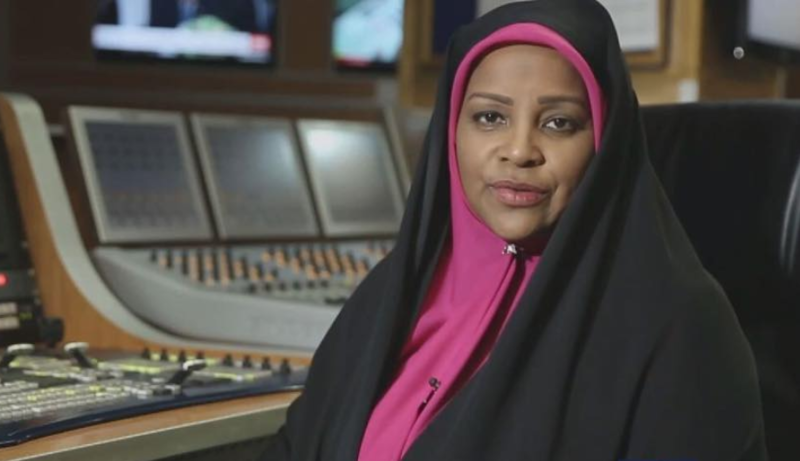 The unlawful arrest of Marzieh Hashemi was never about the journalist herself. It was about the systematic, institutionalized racism and Islamophobia embedded in American institutions. If this disease is allowed to fester, it will consume our community, bit by bit. That’s why, our community is calling on officials to answer for the unjust detention and harassment of Marzieh Hashemi, and we will continue demanding justice until the parties responsible for her heinous treatment are brought to justice.